Promo Day is a conference for creatives of every kind; Writers, Authors, PR companies, Publishers, Editors, Book Cover Designers, Illustrators, Book Reviewers, Book Bloggers, and anyone else interested in books and marketing. The event gives all participants the chance to connect with others from all areas of the publishing industry. So if you're looking to network with industry professionals this is the event for you! Promo Day is all about what happens after you've written a book. It's a chance for writers, and authors to promote their work, whilst networking with others from the industry, and learning new strategies to help them in their career. Book tours are a highly effective way to promote new, and older releases. 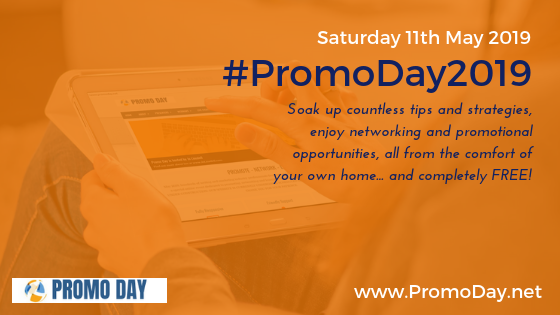 Given that a large amount of Promo Day participants are authors and publishers, this is the perfect event to showcase the services a PR company has to offer. Although the main focus of Promo Day is book marketing, and author branding, the event also touches on elements like editing, formatting, etc.... that play an important role in the success of a book. The first step for great sales is having a great product. This is why editors should participate in the Promo Day event. It's the perfect platform to use to raise awareness of the importance of editing, and to showcase the various services they offer. Whilst we'd all like to think it isn't true, most of us are guilty of judging books by their covers. A book cover can make, or break your chances of success. A lot of Promo Day's participants have yet to publish their books and are looking to learn more about the industry before they take that step. 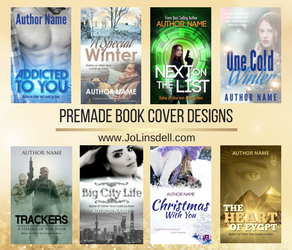 For those considering self publishing, being able to connect with book cover designers during the event is incredibly useful. Many in fact, will be on the look out for a cover design for their book. When it comes to illustrations a lot of writers don't know where to start. Finding an illustrator to work with can be difficult for those who haven't done it before. Promo Day is the perfect place for illustrators and writers to connect and discuss the illustration process. Book reviews are gold for authors. Word of mouth is the best kind of publicity an author can get for their book. Authors are always on the look out for book reviewers they can share their books with. If you're a book reviewer you're sure to find new opportunities during the Promo Day event. Book bloggers do an amazing job of spreading the word about books and authors. From reviewing books, showcasing them, hosting giveaways, interviews and guest posts, book bloggers are an author's best friend. So if you're looking to connect with authors and publishers, and to put yourself on the industry radar this is the event for you. 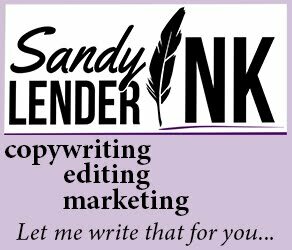 Not a professional book blogger or reviewer? But you still love books and finding out more about authors, and the publishing industry? Promo Day is for you too. There are lots of giveaways where you could win free copies of books, and they are also lots of opportunities to chat with authors during the event. So want are you waiting for? 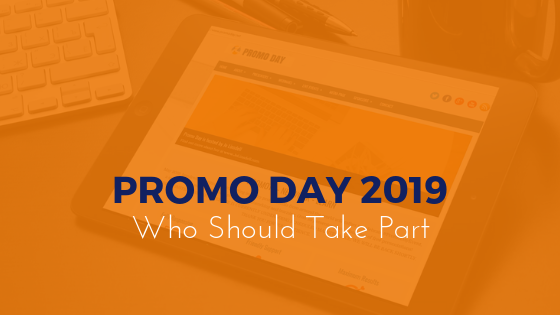 Bookmark this event now so you don't miss out on Promo Day 2019.